– Chris Solinsky (#1) and Simon Bairu (#2) talking about how the 2004 Wisconsin Dream team – one that featured that year’s NCAA XC champion, two eventual sub-13 runners, an eventual 27:28 man and a current 13:47 guy – lost the 2004 NCAA XC team title to Colorado. 50 years ago this couple got married in athletic attire, should we raise money to help them compete at World Masters? 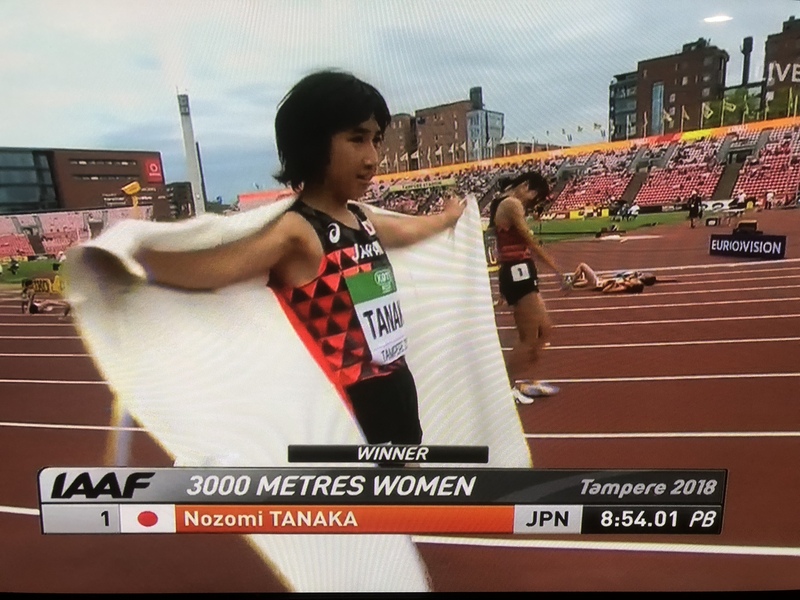 Solinsky admits 2004 Wisco XC team "kind of choked" while Bairu says "we were overly confident and maybe not as focused"
Day 2 PM: LRC Japan’s Nozomi Tanaka Wins Historic Women’s 3,000 Gold At IAAF U20 Championships Tanaka and countrywoman Yuna Wada broke away from the field early and Tanaka held on to become just the second non-African winner of this event in the last 20 years. *MB: Reigning World Jr and NCAA 800 champ Sammy Watson + US HS 800 star Caitlin Collier (2:00.85 pb) fail to make World Jr final It was a tough day for the two American teen stars. LRC 6 Reasons To Watch The IAAF World U20 Championships (AKA World Juniors) If rooting for the American 5k runner who has gone from college dropout to forklift operator to World Juniors all in the last year isn’t enough, we don’t know what is but we’ve got 5 other great reasons to pay attention. Day 1 PM: MB: Kenya’s Rhonex Kipruto breaks CR to win 10,000 gold in 27:22 The man who earlier this year destroyed the Central Park and US All-Comers road 10k mark has lived up to his favorite status and won World Jr. 10,000 gold. *Expected Shot Put Duel Between South Africa’s Kyle Blignaut And US’s Adrian Piperi Lives Up To The Hype Blignaut won by 1 centimeter as Piperi set a new US U20 record of 72-4.50 (22.06m). Day 1 AM: Mouthwatering 1,500 Final For WU20s Is Set – Ingebrigtsen, Tefera And Soget All Win A 1,500 Heat American Cooper Teare also made final. *George Manangoi Reveals After 1,500 Heat That He’s Recovering From Malaria But Still Thinks He Can Win Gold He said he didn’t feel good today. Recommended Read Legally Blind Jaryd Clifford Of Australia Finishes 8th In 1,500 Heat – Just Misses Final – Thanks To A Helping Hand From A Kiwi Clifford can only see directly in front of himself so he made friends with a Kiwi, who let him run strides just behind him, and then Clifford tracked him in the race. Is Uganda’s Jacob Kiplimo The Favorite For 10,000m Gold? Uganda’s paper thinks so but we think its Rhonex Kipruto of Kenya. Nigeria Fails To Get Visas – Its Entire Team Won’t Compete At World Juniors The team only included 3 athletes but did include the #3 seed in the 100, Joy Udo-Gabriel (11.42). Former World Champ Steve Cram Says “Brilliant” Teenager Jake Heyward Has Every Chance Of Success Heyward has made the 1,500 final. Andre De Grasse (10.20) Only 3rd In Canadian Champs 100m The announcers initially said Bismark Boateng was the winner in 10.16 but after several minutes Aaron Brown got the win in 10.16. Pre-Race: Canada’s Trivalry: Who Will End Up As Canada’s Fastest Man – Andre De Grasse, Gavin Smellie Or Aaron Brown? 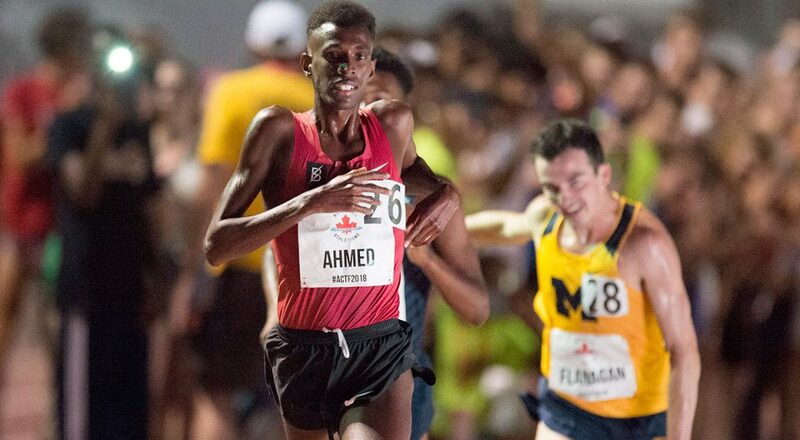 Mo Ahmed Defeats NCAA Champs Justyn Knight And Ben Flanagan For Canadian 5,000 Title The race was very tactical (14:36) just like the steeplechases and women’s 5,000 as shown below. Genevieve Lalonde Wins Canadian Steeple Title In 9:49 UNM’s Charlotte Prouse, the NCAA 2nd placer, was third. Top Pros Like Kamworor, Bekele, Kipchoge Reveal What They Dreamed About When They Last Dreamed About Running Bekele’s involved being with Donald Trump. Kendell Williams Picks Up First Pro Win In LJ At Klaverblad Arena Games (21 Feet (6.40m)) The 7-time NCAA champ isn’t doing the multi this year and is instead focusing on the LJ and 100H. 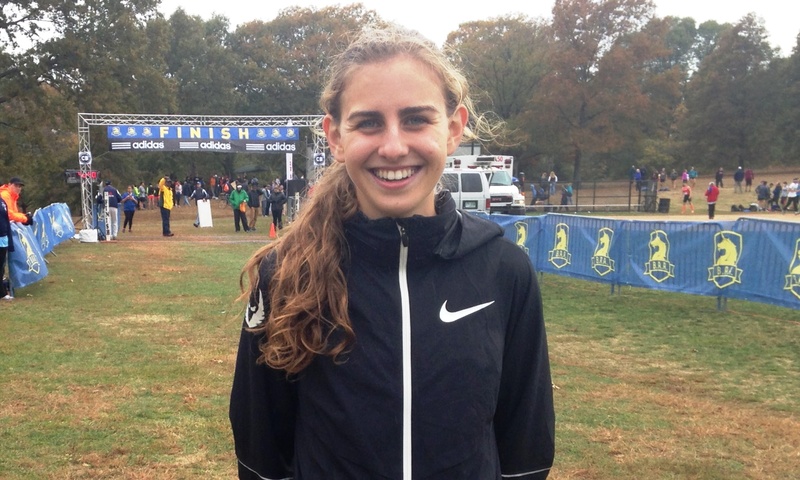 Recommended Read The Brooks Beasts’ Hannah Fields Reveals She’s Been Getting Treatment For An Eating Disorder For The Last 12 Weeks Fields, who ran a PR of 4:05 for 1,500 last year, has spent up to 50 hours a week in a treatment center in Seattle. The Bahamas Govt. Pulls Support For World Relays, Which Are Now Looking For A New Home – Would Jamaica Make Sense? Brett Larner: What Countries Have Had The Best 1st Half Of 2018 In The Marathon Answer: Ethiopia is #1 for both the men and women. Not April Fools A Look At The Rise Of 3 World-Class Chinese Sprinters Two of them are training in Holland with Rana Reider. *South China Morning Post: Are American Coaches, Not Drugs, The Reason Why China Is So Good At Sprinting Now? Athletics Illustrated: How Good Can Ben Flanagan Be Considering He Won NCAAs Despite Cross Training For Nearly 2 Months This Year He had a foot issue that kept him from running for much of January and then again for 4 weeks around indoor conference time. MB: Are Athletics World Cup organizers desperately hoping for an England loss today in World Cup? Lots Of 2018 NCAA All-Americans And NCAA Champs Will Get 1st Big Pro Experience At Athletics World Cup The US team has 16 athletes who competed in the NCAA in 2018 on it from Maggie Ewen to Cameron Burrell to Rudy Winkler. Lots more are competing for other countries. Athletics World Cup Organizers Not Worried By Lack Of Stars And Ticket Fears They should be worried. With no Noah Lyles, Laura Muir, Zharnel Hughes, Justin Gatlin and with it coming on the same day as the World Cup and Wimbledon finals and between two DL meets, we’ll be amazed if this is a success. Here’s our solution – hold a Worlds every year. Reuters: Here’s A List Of Who Is Skipping Athletics World Cup From Renaud Lavillenie to Dina Asher-Smith, no event group seems immune. 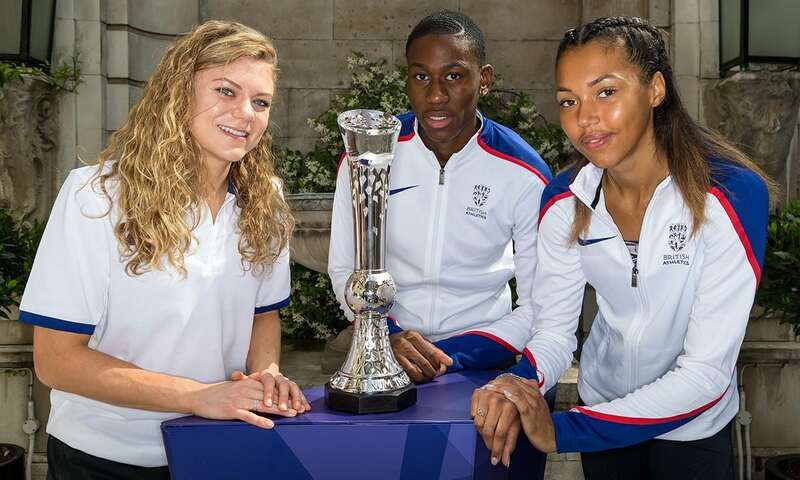 Athletics World Cup Platinum Trophy Unveiled In London Unfortunately, the top sprint stars want cash, not a trophy. The Sprints At The Athletics World Cup Will Be Watered Down As The Men’s 100 In Rabat On Friday Is Loaded Noah Lyles, Ronnie Baker, Mike Rodgers and Christian Coleman will all run the 100m. 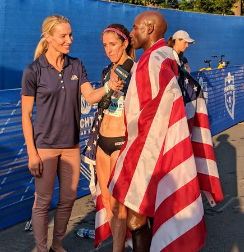 Utica Boilermaker Results: Gabriel Geay, Mary Wacera Win, John Crain & Allie Kieffer 1st Americans Wacera is now tied with Catherine Ndereba with most Boilermaker wins (4). Recap Of French Champs: Renaud Lavillenie Wins 8th Pole Vault Title Mahiedine Mekhissi won the steeple but world champ Pierre-Ambroise Bosse lost the 800 … to a guest Kenyan. Carolle Zahi completed the 100/200 double in 11.01 (1.5m/s) and 22.92 (3.6 m/s) as Jimmy Vicaut pulled out with an injury scare after running just 10.35 in the semis. *American Curtis Jensen Surpasses 70 Feet In Shot With Massive 1 foot+ PR In Brazile His mark of 70 feet, 11.75 inches (21.63m) is #5 in the world this year but not even in the top 20 all time in the US due to steroids. 16-Year-Old Max Burgin Runs European Age 16 Record Of 1:47.36 To Win Euro U18 Gold We’re wondering if anyone knows what the US age 16 record is. If you do, post it here. Ireland’s Sarah Healy Lives Up To Hype And Wins Double European U18 Golds In 3k & 1,500 – Both In Championship Records Healy has PRs of 2:02, 4:09 and 9:10. Scotland’s Kane Elliott Wins European Junior 1,500 In Championship Record Elliott, 16, has already run 3:46 this year. Ireland’s Sarah Healy ((2:02, 4:09, 9:10 PRs) Lives Up To The Hype And Wins European U18 Gold In 9:18 CR She’s the first Irish athlete to ever win U18 European gold. She’s hoping for double gold as she’s also in the 1500 final. 17-Year-Old Thomas Keen (8:14 PR) Wins Britain’s 1st Gold At European U18s In 8:27 Video of sub-60 last lap here. Sophie O’Sullivan – Sonia’s 16-Year-Old Daughter – Begins International Career With A Heat Win At European U18s Race video is here. 10 Stars To Watch At World U20s From Barega to Duplantis to Sammy Watson, the IAAF has you covered. Former Irish 1,500m Champion, Penn Relays Champ And Sub-4 Minute Miler Andrew Walker In Intensive Care After Being Struck By A Car While Training For World Masters Champs You can donate to his GoFundMe here. *MB: Can we stop the hype about Gwen Jorgensen ? *MB: B. Lagat running 28:45 @ peach 10k @ 43yo … what could or would that be worth at age 18-38 … 26:34 ..? Iconic Peachtree Photo Presented To Family 40 Years After It Was Taken And 30 Years After Man Featured Died The photo is so great it was even used in a Nike ad and the photographer instantly knew it would be the best photo he ever took. Kate Grace And Kaela Edwards Both Run 2:01.18 In 800m Natoya Goule won in 2:00.32. Brianna McNeal Wins 100H In Lucerne In 12.44 Mike Rodgers prevailed over Jamaica’s Yohan Blake in the 100 with 10.08 to 10.12. Leo Manzano Ends Track Season Early …. He’s Headed To Spanish Version Of Survivor He’ll be off the grid until September!! 51-Year-Old Female Cattle Farmer Sets 116-Mile Endurance Record In The UK She’s the first ever to complete the “double Ramsay.” It took her nearly 56 hours. WSJ Story That Talks About How Hard It Is For Pro Athletes To Save For Retirement Focuses On Ben And Sarah True The Trues have started a coffee business with Desi Linden and her husband. Linden and True Coffee. Andre De Grasse’s Season Has Been Cut Short For A Second Consecutive Year By A Hamstring Injury It’s just a grade 1 injury but he’s calling it a season and will spend time with his newborn daughter. Cathal Dennehy Takes A Closer Look At Ireland’s Newest Distance Prodigy – Sarah Healy She runs between 30 and 50 mpw and isn’t planning on coming to college in the US. DyeStat.com: Thanks To Her Recent 1:59 800 PR, Kaela Edwards Is Ready To Reach The Next Level In Europe Edwards has gotten some last minute invites to some big DL meets and is hoping to make the most of it. LRC A More Mature Mary Cain Prepares To Return To Track Racing After 2 Years Away – 5 Takeaways From Cain’s Recent Podcast Appearance Next Sunday will mark two years since Mary Cain’s last track race. Find out what’s changed with Cain here. LRC Why Sam Chelanga Retired From Running At Age 33 To Enlist In The U.S. Army You may have heard the story of pro runners joining the US Army so they can get US citizenship. What you haven’t heard is this story – Sam Chelanga‘s story – a pro runner giving up his running career so he can go the US Army’s Officer Candidate School. 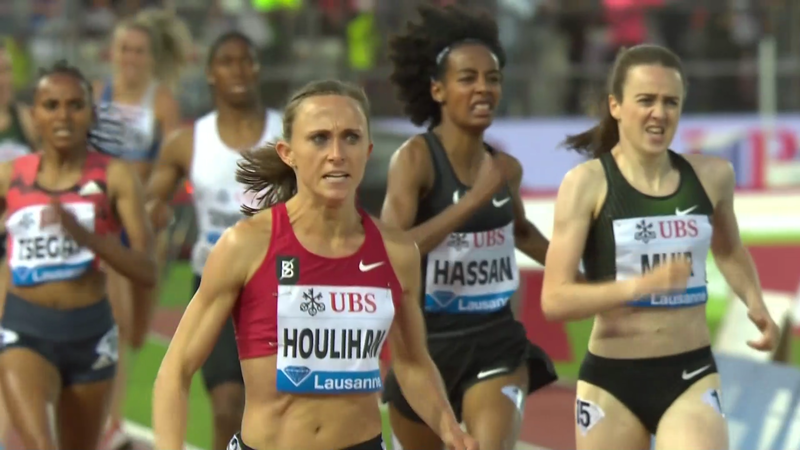 LRC After A Dominant 3:57.34 Win (US #4 All-Time) In Lausanne, Is Shelby Houlihan The World’s Best 1,500 Runner? Shelby Houlihan’s fantastic final 70 meters was there once again – this time she used it to kick by the best women in the world not named Genzebe Dibaba. 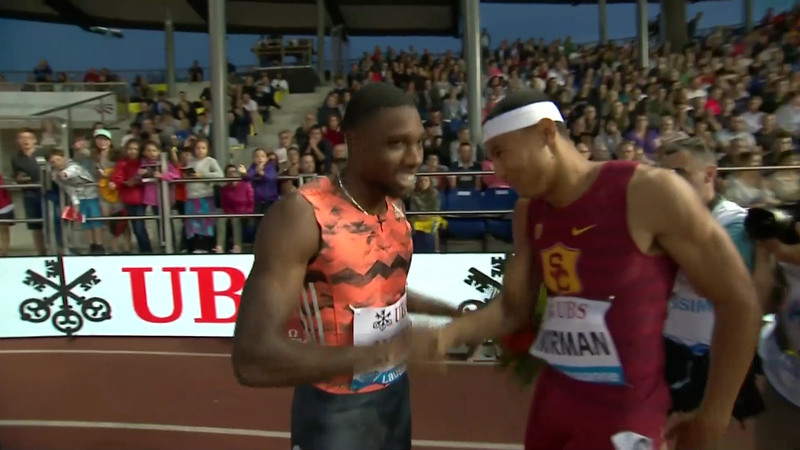 LRC 2018 Lausanne DL Recap & Video Highlights: A CRAZY Men’s 5,000, Noah Lyles Over Michael Norman, And No 400H WR The 2018 Lausanne DL featured a fantastic clash between two of America’s (and the world’s) great young sprint talents in Michael Norman and Noah Lyles. Plus maybe the craziest 5,000 finish we’ve ever seen. 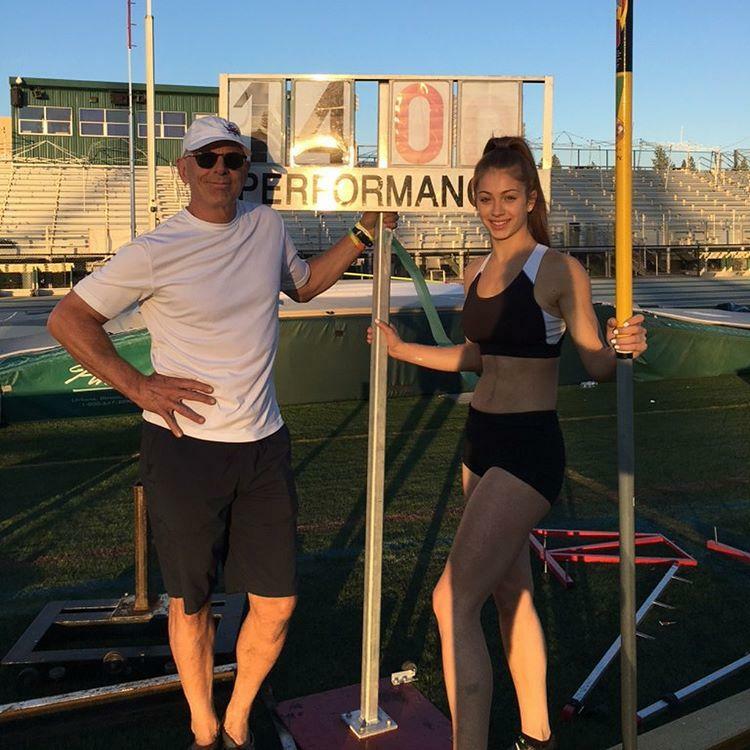 After Learning A Lot At Lakeside Poke Vault, Duplantis Will Now Turn Focus To World Juniors Duplantis doesn’t have much experience on a raised runway outside of a track. Full Coverage including previews can be found here. A Big Drug Bust 20 Years Ago Led To The Foundation Of WADA – Does It Need A Big Revamp? Recommended Read Bonnie Ford: Chris Froome Case Shows WADA Rules Need A Revamp 20 Years After It Was Founded 20 years ago this weekend, a big TDF drug bust led to the creation of WADA, but Ford argues WADA wastes too much time on minor substances and says too many rich athletes can get off with high-priced lawyers.